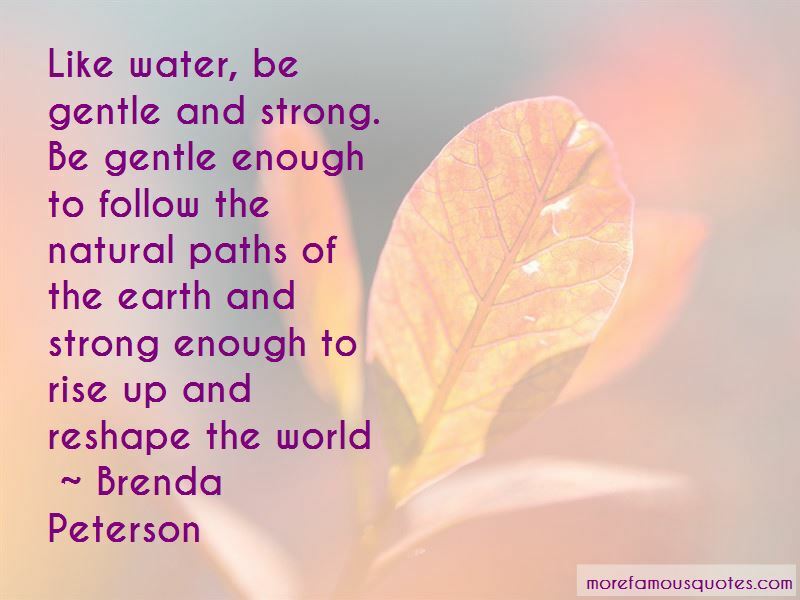 Enjoy the top 8 famous quotes, sayings and quotations by Brenda Peterson. “I think people are very brave and often are a lot more frightened than theyre allowed to admit. Life is much harder to live for most people than we want to admit. And so many things take a summoning up of courage. It makes ones own life a little bit easier when you can acknowledge that. “I think people are very brave and often are a lot more frightened than they're allowed to admit. Life is much harder to live for most people than we want to admit. And so many things take a summoning up of courage. It makes one's own life a little bit easier when you can acknowledge that. It is never too late to go quietly to our lakes, rivers, oceans, even our small streams, and say to the sea gulls, the great blue herons, the bald eagles, the salmon, that we are sorry. a different kind of compassion than humans do. Cristina Eisenberg weaves her observations as a scientist and her personal experiences afield into a resonant account about the web of life that links humans to the natural world. Grounded in best science, inspired by her intimate knowledge of the wolves she studies, she offers us a luminous portrait of the ecological relationships that are essential for our well-being in a rapidly changing world. The Wolf's Tooth calls for a conservation vision that involves rewilding the earth and honoring all our relations. 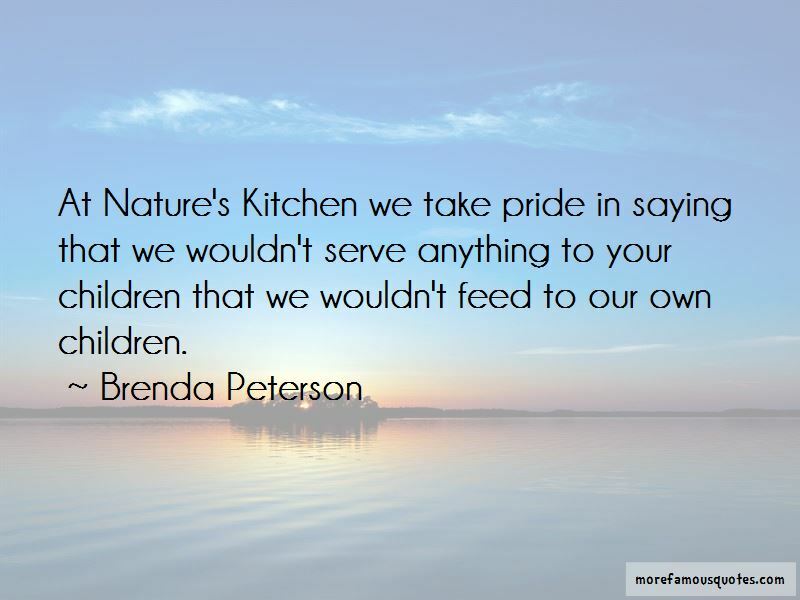 At Nature's Kitchen we take pride in saying that we wouldn't serve anything to your children that we wouldn't feed to our own children. 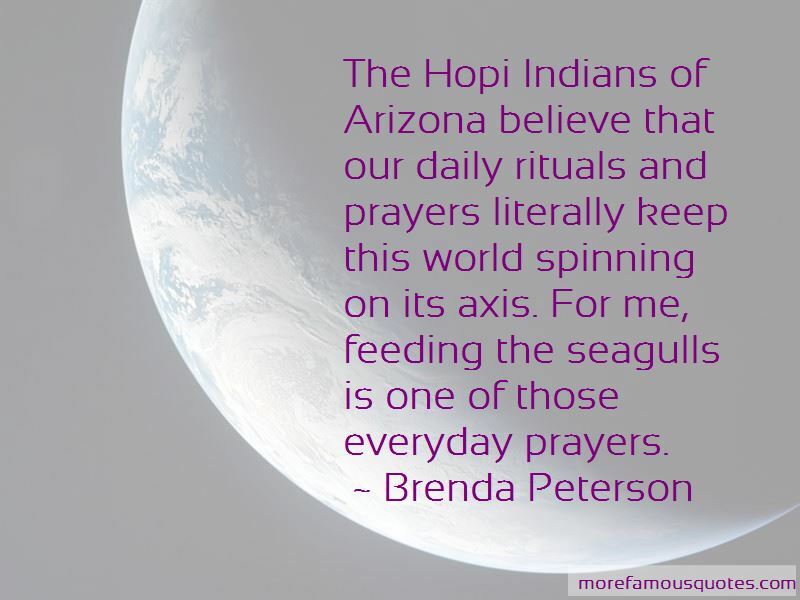 Want to see more pictures of Brenda Peterson quotes? 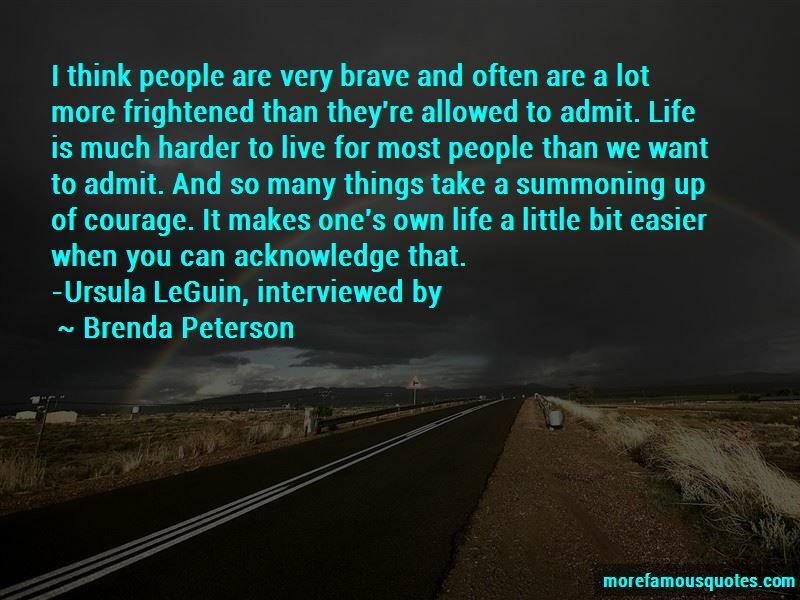 Click on image of Brenda Peterson quotes to view full size.